What, then, are we to make of the place of singing in our meetings? It was a major feature of the Old Testament Tabernacle and Temple, and even though there are fewer mentions in the New Testament, there are enough to indicate it was a normal feature of Christian life, individually and corporately, spontaneous and planned. We know, though, that we cannot simply transfer an Old Testament practice into a New Testament church, no matter how obvious it might seem. Instead we have to observe the differences as well as the similarities. Rather than turn to any one passage, for this section it will be helpful to review the New Testament references, and then make some observations. That gives an element of continuity to our practice. Just as with the Levitical priesthood or animal sacrifices, we do not bring Temple practices unchanged into Church, but we say Christ’s death has changed all three, and one of the transformations is that Gentiles praise because they have been included in an equal way. Then I looked, and behold, on Mount Zion stood the Lamb, and with him 144,000 who had his name and his Father’s name written on their foreheads. And I heard a voice from heaven like the roar of many waters and like the sound of loud thunder. The voice I heard was like the sound of harpists playing on their harps, and they were singing a new song before the throne and before the four living creatures and before the elders. No one could learn that song except the 144,000 who had been redeemed from the earth. The discontinuity between Temple and Church is what we praise God for. The mysterious number 144,000 is a numerical synonym for all Christians, and only they have the Lamb’s name written on them because only they have been saved by his sacrificial death. That is the new song of praise which they can sing. It is right for all Christians in the permanent heavenly assembly to express praise to God for the gospel, in song. (B)e filled with the Spirit, addressing one another in psalms and hymns and spiritual songs, singing and making melody to the Lord with all your heart. 1. Singing engages us congregationally. That is, it is appropriate that we sing God’s praises in our assemblies, as an assembly, singing and making melody to the Lord with all your heart. What we have seen about worship is critical here: this is not an initial approach to God, or a way into his presence, but a response to him, out of gratitude, for being recipients of his kindness that we are allowed to be included in his people. Scholars group the Psalms into three kinds: Psalms of Petition, or Lament, asking God to act, Psalms of Thanksgiving for what God has done, and Psalms of Praise for who God is. All of them have horizontal as well as vertical elements, where we involve other people as well as God, and placing them in the Book of Psalms means that even those which were written as individual prayers to God were expected to find a corporate voice. In our singing, as we use the same words at the same time to God, we are praying together, lamenting together (when did you last do that? ), thanking together, and praising together. It forces me out of my individual concerns on to the great themes all Christians have in common, and makes me see my life in the light of his great plan. 2. Singing engages us corporately. That is, as a body we serve one another when e sing, because we address one another, teaching and admonishing one another in all wisdom, singing psalms and hymns and spiritual songs, or addressing one another in psalms and hymns and spiritual songs. Just because singing is rightly addressed to God should not make us forget that it is also rightly addressed to one another. I know of churches which have deliberately adopted an amphitheatre style of seating, and even face to face seating, to ensure this happens. When this happens, people personally address each other with Christian truth, remind each other of God’s promises, and challenge each other to wholehearted commitment. Paul’s foundation understanding in all this is that we Let the word of Christ dwell in (us) richly, teaching and admonishing one another in all wisdom, and as we shall see below that is essential to how we function as the Body with Christ as the Head. 3. Singing engages us intellectually. That is, as we Let the word of Christ dwell in (us) richly, teaching and admonishing one another in all wisdom, our minds are engaged to understand more. Perhaps a song explores a great Biblical doctrine, or tells us a story, like ‘My Song is Love Unknown’ takes us through Easter week; perhaps, like ‘Guide me, O thou great Redeemer’ it teaches me how to read the Old Testament as a Christian; perhaps it just takes up a scripture and celebrates it. Even within the Bible we can see writers doing that, as the book of the prophet Habakkuk ends with the instruction to the choirmaster that it is to be sung with stringed instruments. More than that, though, a good song-writer will have thought about how to put the words so hat they can be easily remembered. We can see that in the Psalms, where almost everyone has a clear logical path through, a movement of thought which connects up. Some, like Psalm 119, were written in a way that was obviously designed to be memorable, working its way through the Alphabet so that anyone trying to remember it knows how the next verse should start. A good contemporary song writer will know both these things, and will be alert to the dangers of making truth bland, or error memorable. Paul reminds us of the dangers of mindless praise when he wrote, I will pray with my spirit, but I will pray with my mind also; I will sing praise with my spirit, but I will sing with my mind also. A concern for truth and theological precision in our songs is not the enemy of a living encounter with God. 4. Singing engages us individually. That is, church is not a concert or a performance. For all that we might enjoy the contribution of a soloist, that is not congregational singing, because we are not actively involved. We are to be singing psalms and hymns and spiritual songs, with thankfulness in (our) hearts to God. The song which is being sung by five hundred people is being sung by five hundred individuals, each one responding to God in praise, thanks or prayer. Everyone has known what it is like to wander off in a song and be thinking about something utterly unrelated to the words on our lips, and then to realize what is happening and hope that we didn’t sing about what we have been thinking about. Although that is a common practice, it is obvious that it should not be an acceptable practice, and we need to rebuke ourselves when it happens. If that sounds harsh, remember that is precisely what the Psalms do. Psalms 42 and 43 share the refrain, Why are you cast down, O my soul, and why are you in turmoil within me? Hope in God; for I shall again praise him, my salvation.The Psalmist tells himself to stop focusing on his troubles (which were very deep) and instead to put God and his promises at the centre of his attention. That does not mean that our concerns do not matter, but that we take those and express them in biblical song. So, James says, do not get so wrapped up in how good life is, or how bad life is, that you forget God. Is anyone among you suffering? Let him pray. Is anyone cheerful? Let him sing praise. What else would Paul and Silas have been singing about in prison at midnight when they could not sleep? 5. Singing engages us emotionally. That is, at the very least, it allows us to express our emotions. Is anyone cheerful? Let him sing praise. But there is a more complex element here, because singing can change our emotions, and we need to be aware of that. It is meant to, and one reason why songs such as Psalms 42 and 43 are in the Psalter is to change to the mood of the singers, from being downcast to hope. Someone might object, though, that it is the words of the Psalms which have that effect, as the reader understands and believes what God is saying. That is not the same as being affected by the music as the Psalms are sung. This is a true and important observation. Differences in rhythm, volume, pace, and musical ethos change peoples’ moods and expectations. A service in a vast Gothic Cathedral begins with a thunderous organ, massive choirs, and echoes to send shivers down the spine; a church meeting in the evening on a student campus serves coffee with some laid-back John Coltrane jazz in the background; elsewhere on campus a different group of Christians are powering a version of the latest rock sound through enormous speakers, while a local church is offering Christianity ‘unplugged’, with acoustic guitars and simplicity. None is right, none is wrong – and none is ‘Christian’. There is no Christian musical ‘style’, merely Christian lyrics set to music. 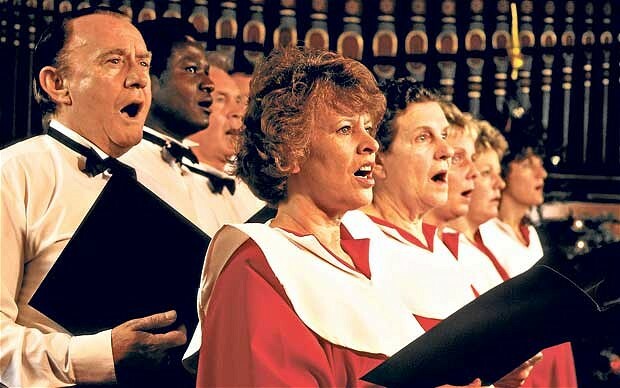 There are questions to be asked about appropriateness, such as whether the tunes are singable, and the lyrics audible, but they apply as much to the choir singing a Latin Canticle as to the band with its amplifiers. The Book of Psalms is a libretto (the lyrics) not a score (the notes), which means that the inspired element of praise lies in the words and not the music; adding notes does not turn words into praise. What do the notes do, then? They aim to make us feel appropriately. Some of the Psalms identify the musical instruments suitable for the songs, sometimes flutes, sometimes strings and in the case of Psalm 150, an entire orchestra and choir entering section by section. Each must have been chosen because of the mood it evoked. So with the titles of some of the Psalms: Doe of the Dawn, Lilies, or Do Not Destroy. The scores have been lost, but not the idea that the songs were set appropriately. No-one today knows what a shiggaion was, but it evoked David’s intention for Psalm 7, just as a miktam or a maskil did for others. Someone had to choose a setting that was right for The Memorial Offering. There are fifty-five Psalms which have instructions for the Music Director, telling him to choose an appropriate tune, to fir the intentional purpose of the writer. So, the music is the servant of the lyrics, in the same way that the lyrics are the servant of the scriptures. The sole task is ensure that God’s word is heard and responded to, and we cannot choose a tune just because it is uplifting or upbeat. That does not mean that aesthetics do not matter, because an ugly, dull tune, unimaginative arrangement or tone-deaf performance detracts from the words that are being sung. But aesthetic considerations on their own do not validate a piece of music. 6. Singing engages us culturally. There is probably a very good reason why God has arranged it that we have the lyrics of Psalm 41, and even the lovely title of the tune it was set to, Lilies, but have no idea what it sounded like, and that is because to my ears and yours it would probably sound screechingly awful. Different cultures have different ideas of what a lovely tune is, which is why Western musical ears often have difficulty appreciating the quarter tones of the Indian Raga. Musicians and songwriters, then, have a role in writing settings for us to sing in our time and place to evoke the beauty, the praise, the lament, that previous generations felt in theirs. Not only did it forcibly express the feelings of determination and conviction to stand by God’s word that day, it also reminded us that what we had been through was nothing to what Luther’s contemporaries, and ours, faced, and that God had been good to his promises to them, too. That is the power of song. Ps. 42: 5, 11; 43:5.